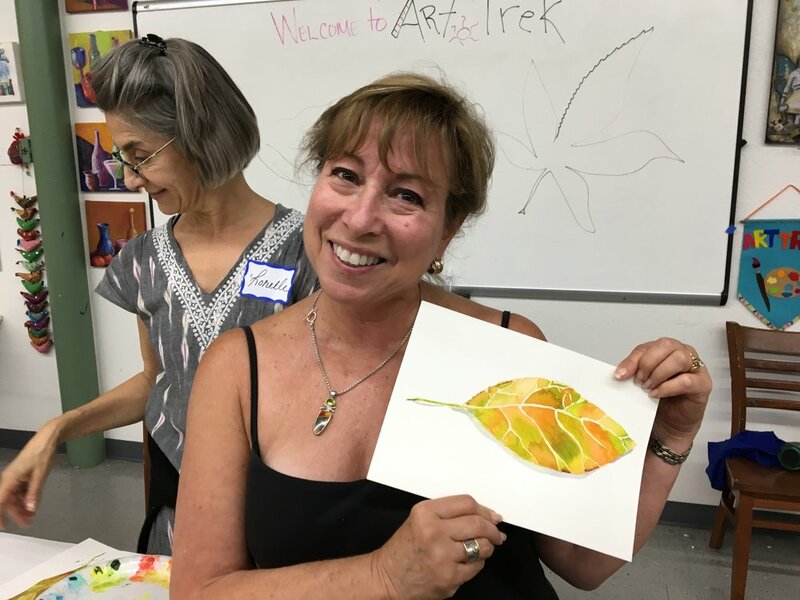 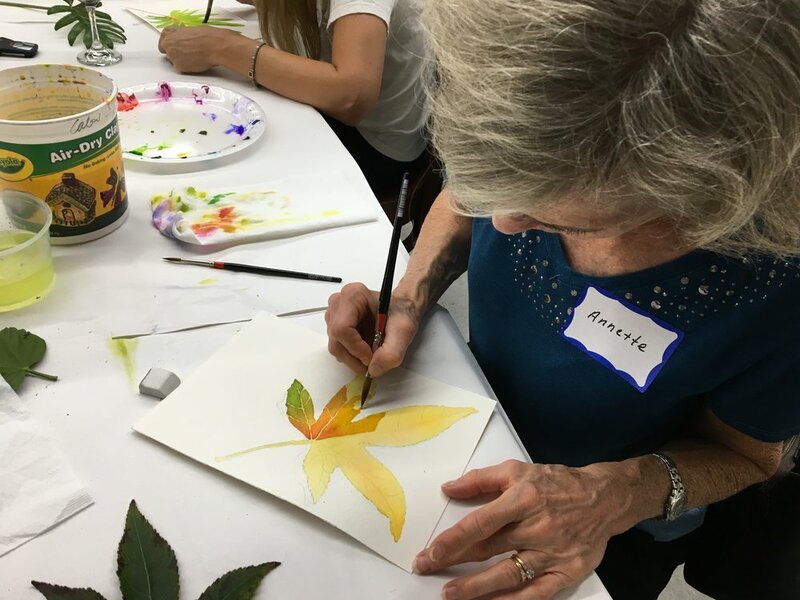 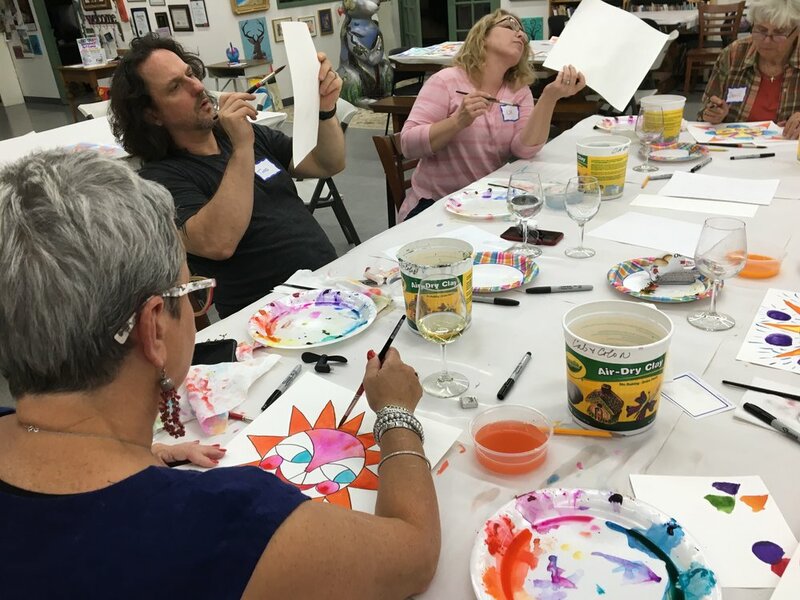 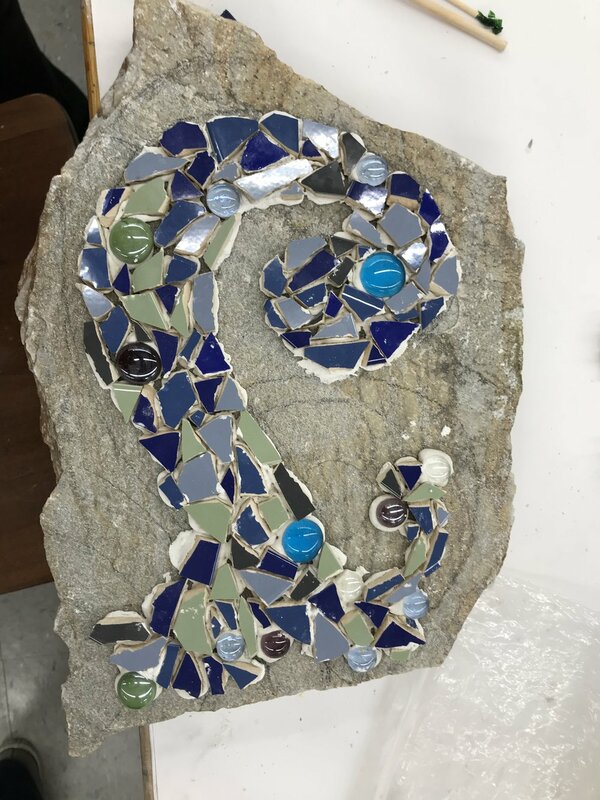 Time to flashback to last month with photos and highlights from our studio events, $5 Friday and Merlot & Mosaics Workshop. 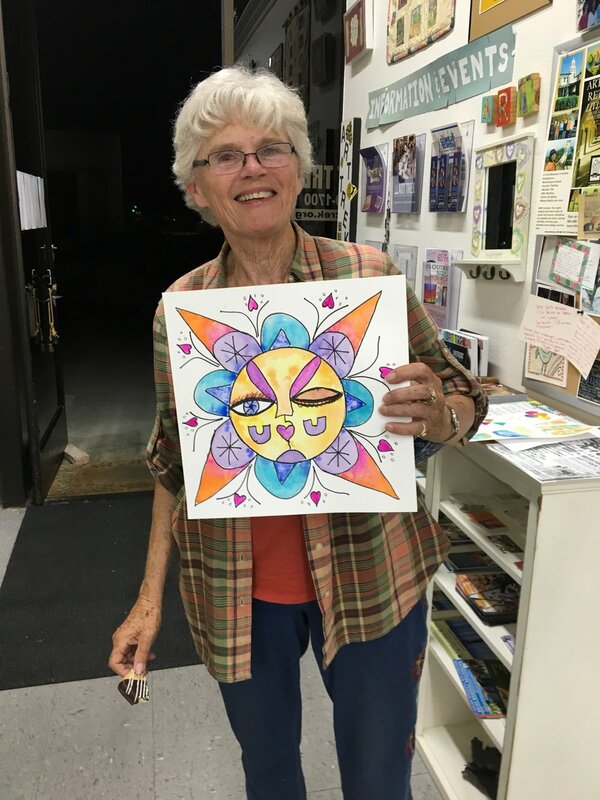 Our $5 Friday: Community Art Night was a spooky good time with the theme, I put a Spell on You!, attendees joined us from all over the Conejo Valley to create art inspired by witchcraft and wizardry! 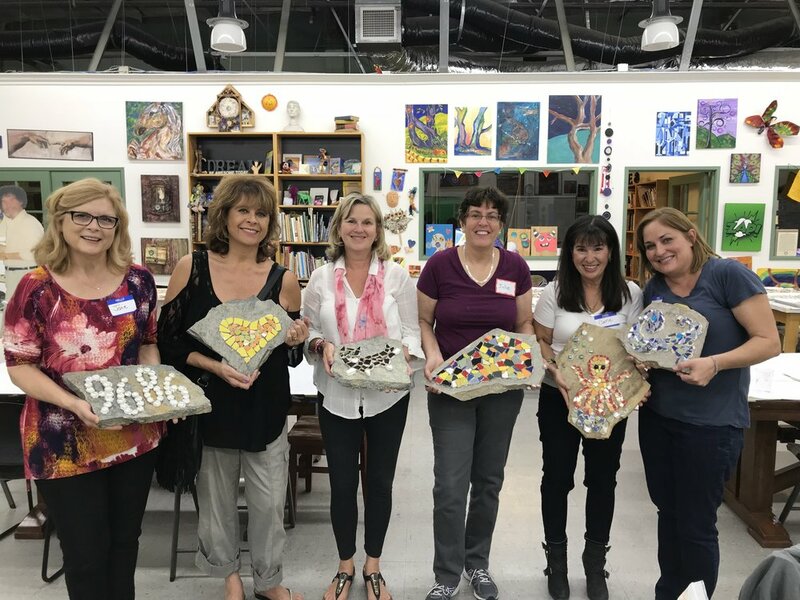 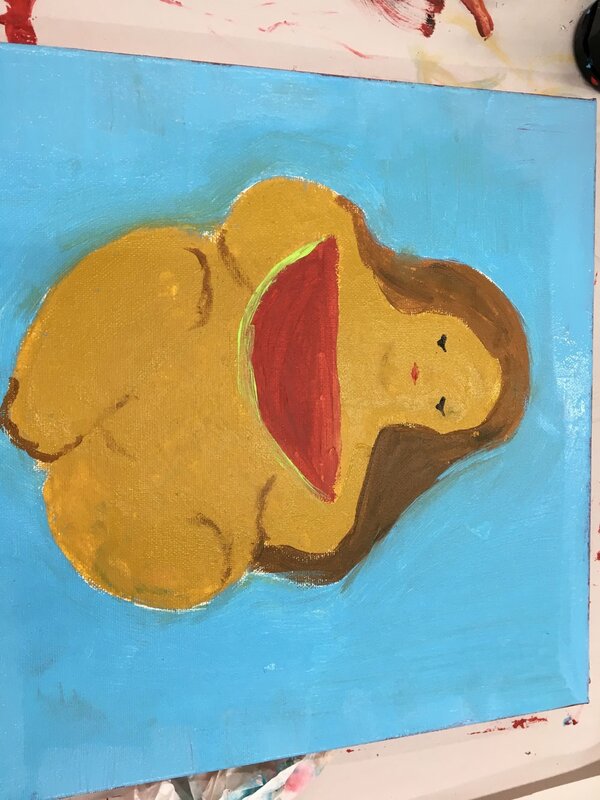 The next week at our Cabernet, Canvas & Color Workshop attendees created mosaic tiles! 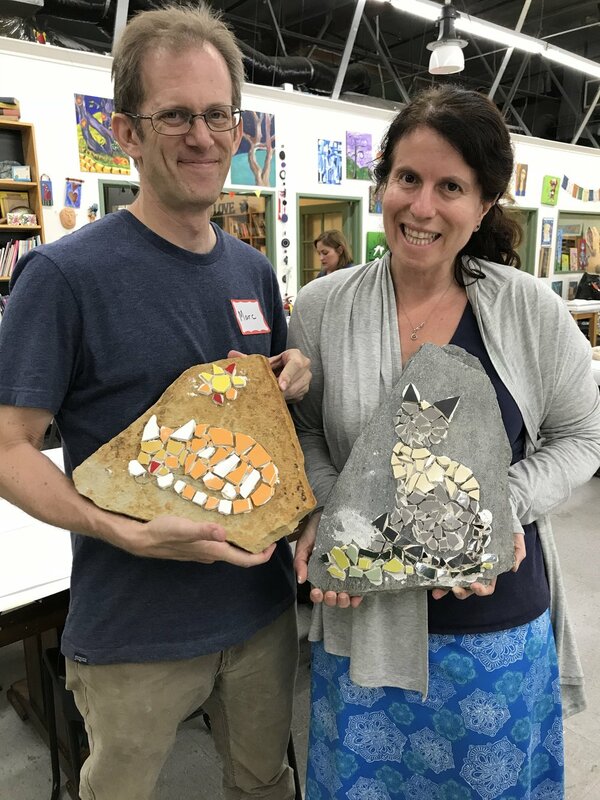 They spent the time designing cats, hearts, leaves, snowflakes, and more. 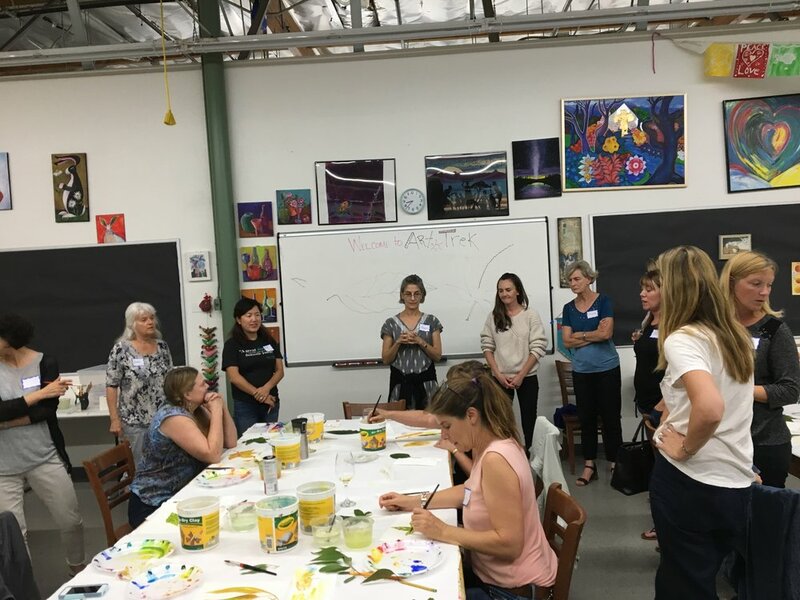 Join us this month on Friday, November 17th for our Annual $5 Friday: Thanksgiving-back Celebration - all proceeds will go to FOOD SHARE of Ventura County and our Cabernet, Canvas & Color Workshop for the month will be a Winter in Watercolor! 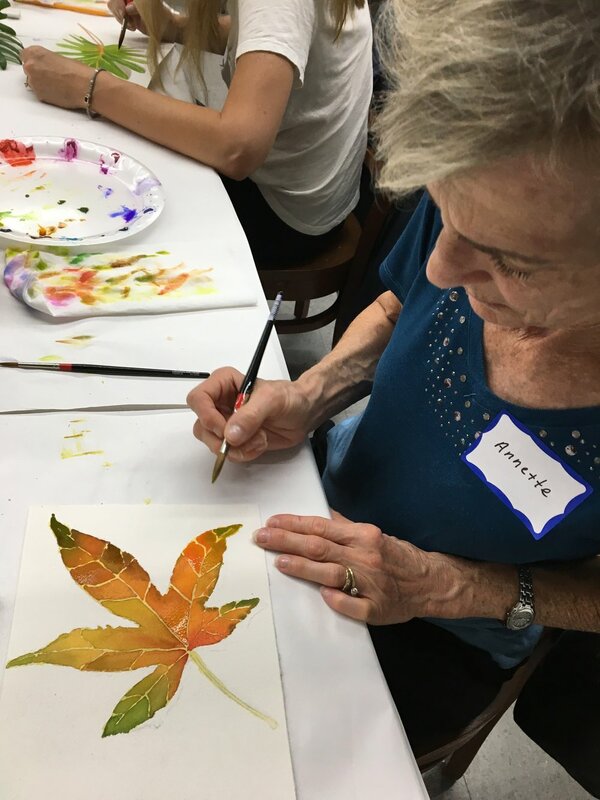 on Thursday, November 30th - attendees will paint whimsical watercolor cards for the holiday season. 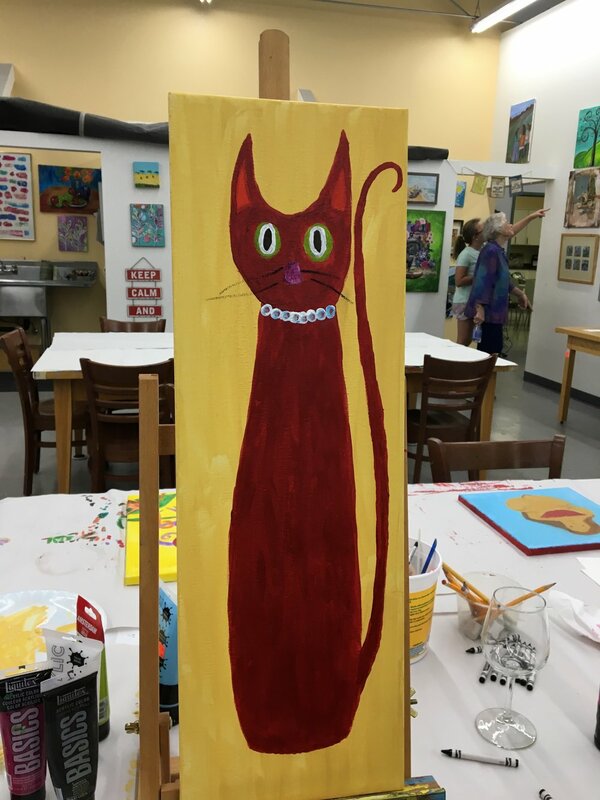 $5 Friday: I put a Spell on You! 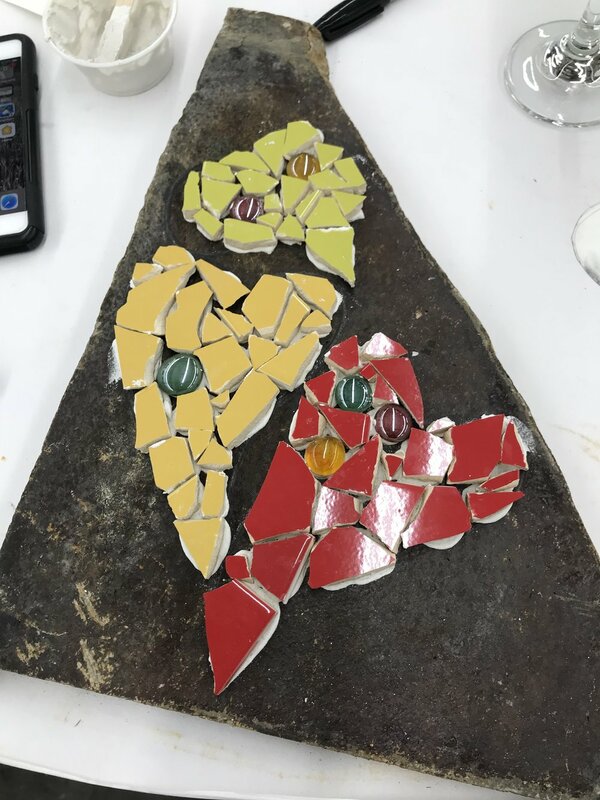 Posted on November 3, 2017 by Cordelia Miller and tagged $5 Friday Cabernet Night Merlot and Mosaics October Highlights.